J.E.H. 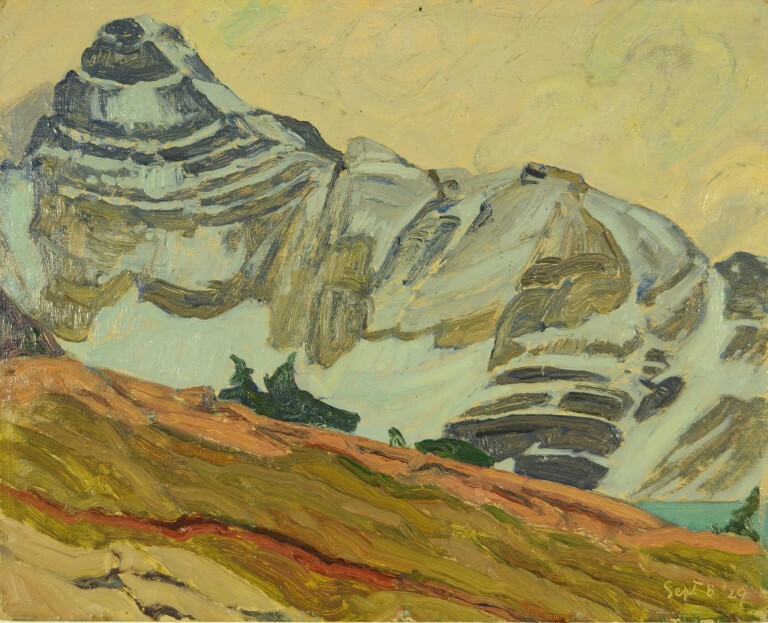 MacDonald, like Canadian artist Frederic Marlett Bell-Smith before him, found boundless creative inspiration in the Canadian Rockies. MacDonald first visited the Rockies with members of the Group of Seven in 1924. He returned regularly over the next six years, and, when his health failed, he continued to paint the Rockies in his studio until the final year of his life.